Bindi produces wine from three distinct terroirs. Mursaglia is characterized by its clay-limestone soil and eastern exposure. The Mursaglia rouge is 100% Nielluccio from a 1 ha plot, hand harvested and cold soaked for 48 hours. The wine undergoes a natural fermentation that lasts no more than a month, with daily manual pump-overs. The wine is left to naturally settle and then is racked off the lees. 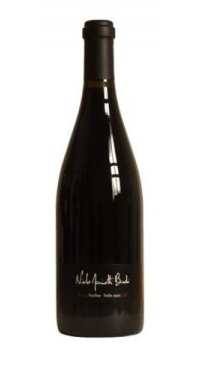 This is a fresh and fruit forward style of red with approachable tannins. It is a wine that expresses purity of grape, place and a winemaker`s gentle touch.